The danger of something of the sort happening is real enough after US National Security Advisor John Bolton was caught on camera with a notepad where he scribbled “5,000 troops to Colombia” in what was probably a “self-leak” to telegraph the US’ intentions and put additional pressure on Venezuela. Furthermore, this coincided with Colombian-based military defectors begging the US to arm them so they can overthrow their government. From the looks of it, the same “Lead From Behind” HybridWar scenario as what happened earlier this decade in Syria and Ukraine appears to be on the brink of repeating itself in Venezuela whereby the US’ most trusted regional allies (Turkey, Poland, and Colombia) are charged with being the vanguard proxy force for assisting a regime change operation in the neighboring country whose government the US wants to overthrow. Reuters reported last summer that Zulia, Venezuela’s most populous state where nearly 1/5 of the population resides, accounts for approximately 35% of the country’s meat and dairy production as well as around 25% of its oil exports. 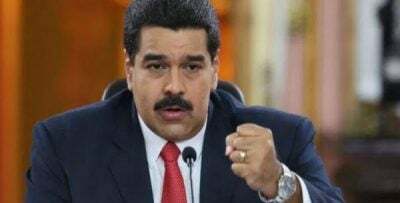 Being the Bolivarian Republic’s historic source of oil, some demagogic voices have previously called for autonomy in order to retain as much of their region’s energy revenue as possible, though this initiative has thus far been unsuccessful. Nevertheless, in times of serious economic and political uncertainty such as the present, it could become an attractive rallying cry of the opposition.